Many research problems in cryospheric science, such as global warming-induced permafrost degradation, require information about the subsurface, which can be imaged using geophysical methods. 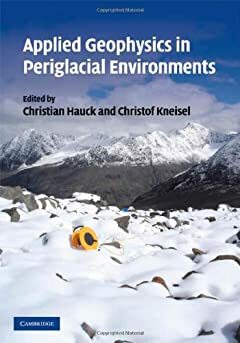 This book is a practical guide to the application of geophysical techniques in mountainous and polar terrain, where the harsh environment and nature of the subsurface pose particular challenges. It starts with an introduction to the main geophysical methods and then demonstrates their application in periglacial environments through various case studies – written by a team of international experts. The final part of the book presents a series of reference tables with typical values of geophysical parameters for periglacial environments. This handbook is a valuable resource for glaciologists, geomorphologists and geologists requiring an introduction to geophysical techniques, as well as for geophysicists lacking experience of planning and conducting field surveys in cold regions. el link para descargar el libro no esta habilitado, podría ponerlo en otro servidor por favor? gracias!